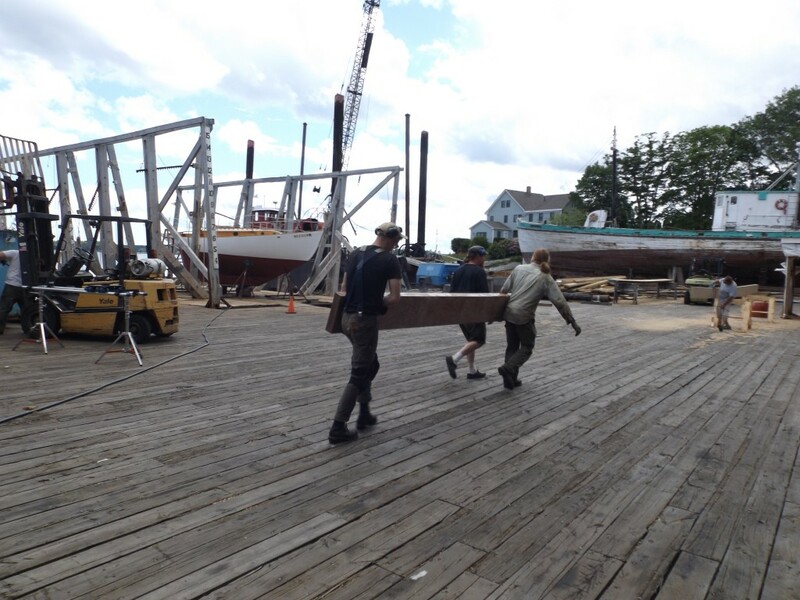 Ernestina-Morrisssey’s new transom is being fitted to the frames. 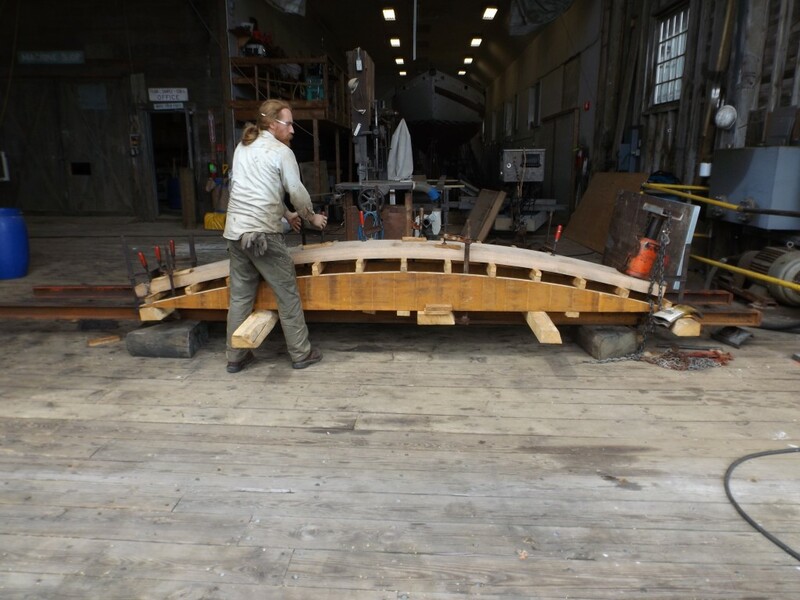 The topmost planking on the transom is cut to fit together above the water line. Later the same day the last piece of the puzzle is fit and fastened. Tomorrow the first full plank will be attached. 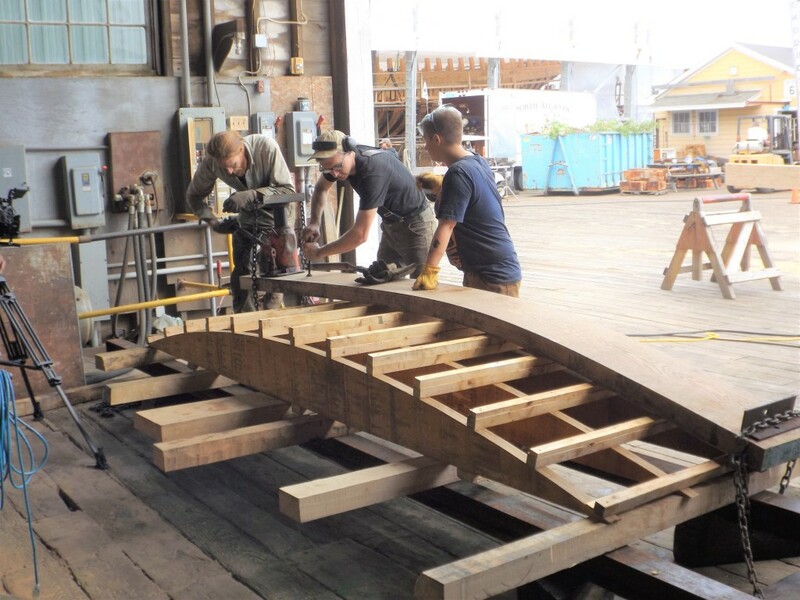 The transom has an extreme curve and some of the planks must be steamed and bent to a form to set the needed curve of the planks. 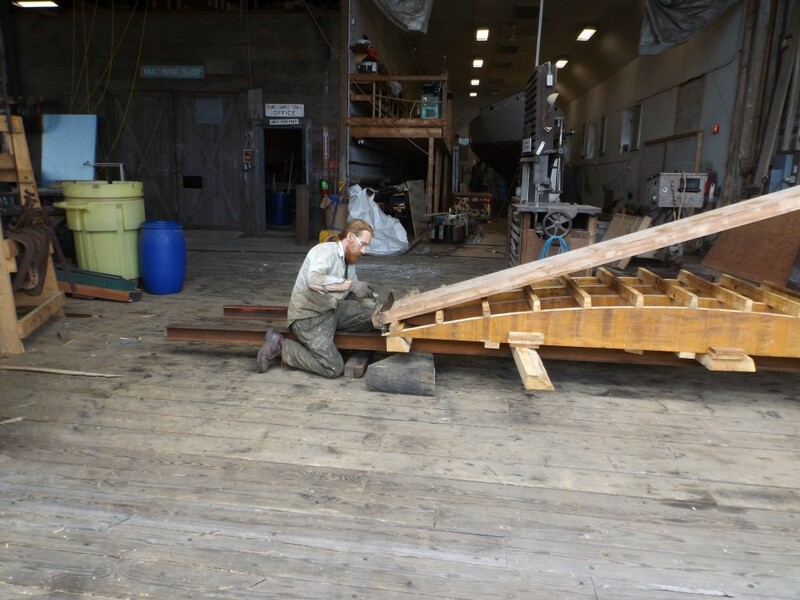 Some members of the crew are in the workshed working on the plank for the next day. 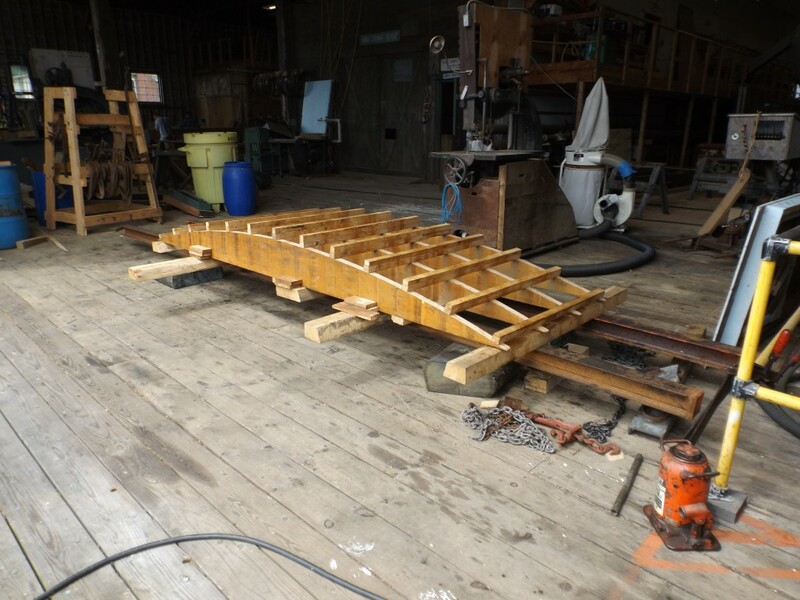 This form will be used to bend the planks to fit the transom frame. 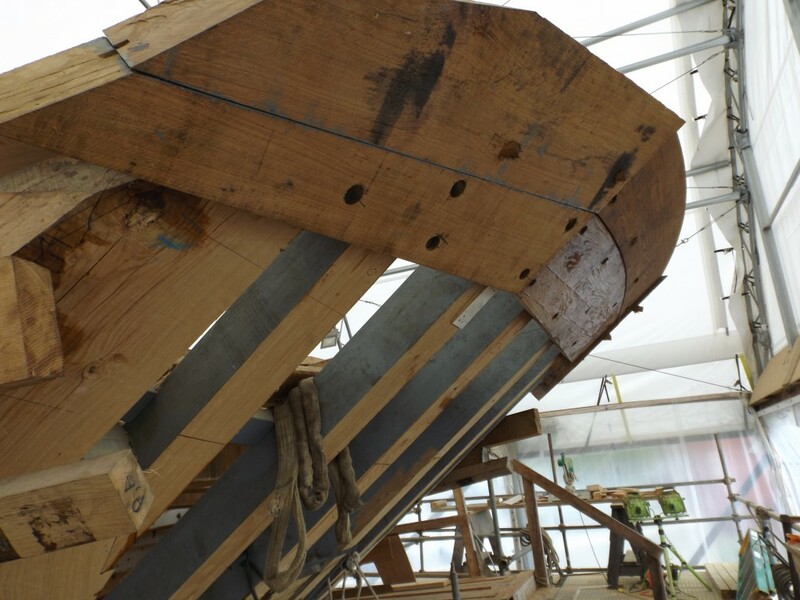 Notice the steel I-beams that support the frame and will give a strong structure to fasten the clamps to. 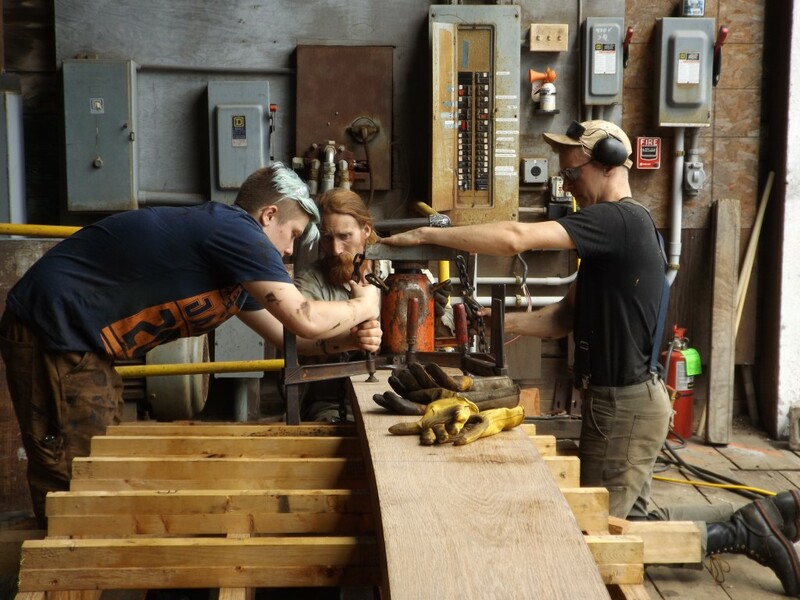 The crew hurries the 3 inch thick oak plank to the form. 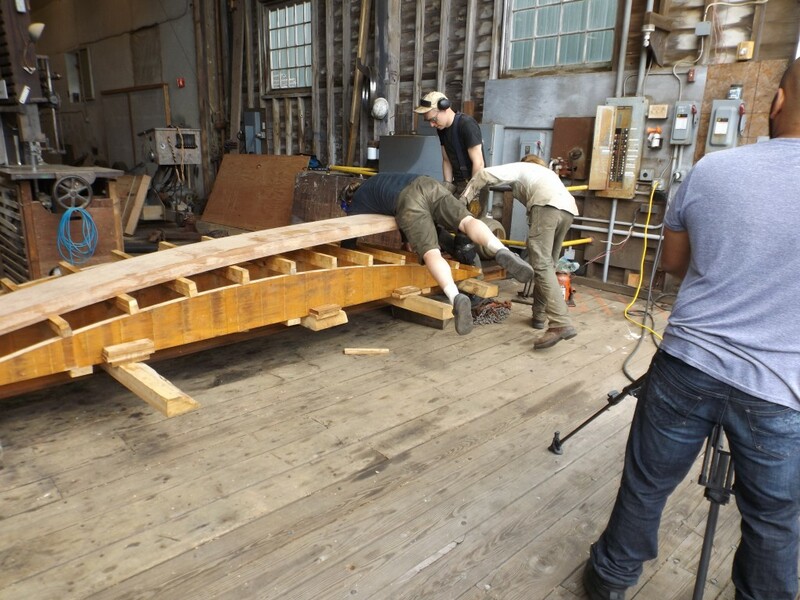 The process starts with a chain and a lenth of angle iron so the chain will not scar the edges of the plank. This will hold the end of the plank to the form. Manpower starts forcing the plank to the form as Alessandro Lopes film the action for the Sails over Ice and Seas documentary. 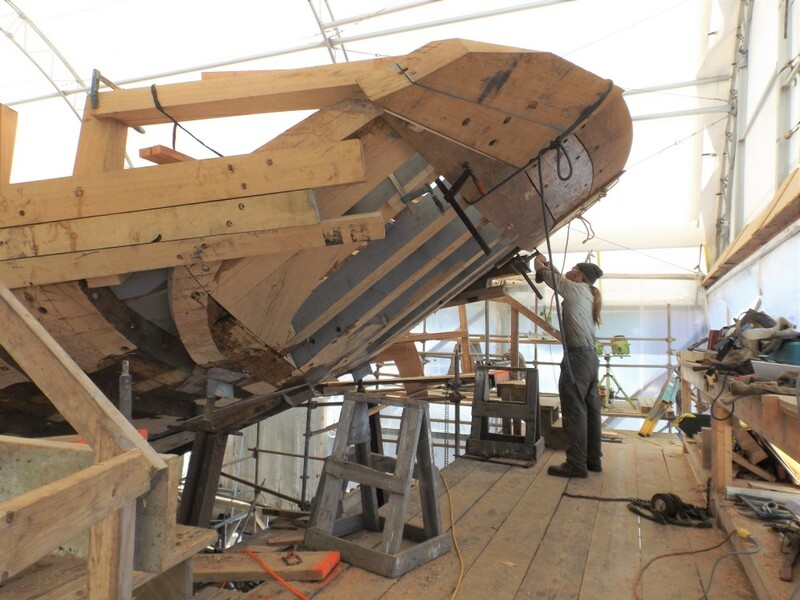 A hydraulic jack is used to force the plank to the curve of the form as clamps are added to hold it down. The jack tightens the chain that is looped from the U-channel on the jack to the I-beam. More clamps are added as the plank gets closer to the form. 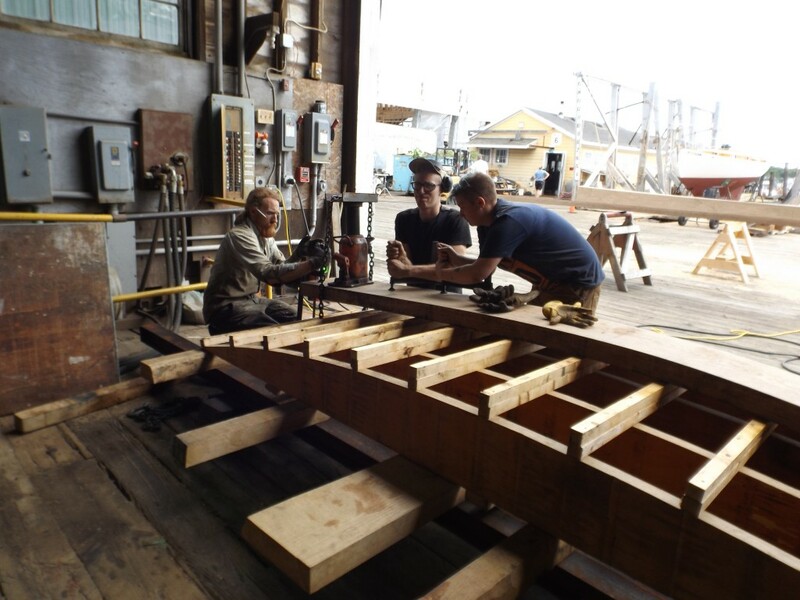 At last the clamps get a final tightening and the plank is fit to the form where it will stay overnight until the crew is ready to fasten it to the transom.